The Congressional Budget Office's economic outlook for the next 10 years, released in late January, found that the federal deficit will balloon to 4% of GDP by 2025 from 2.8% today, thanks in large part to entitlement programs like Social Security. Republicans want to curb entitlement growth, but fear it could hurt them in the 2016 election. The Congressional Budget Office’s economic outlook for the next 10 years, released in late January, found that the federal deficit will balloon to 4% of GDP by 2025 from 2.8% today, thanks in large part to entitlement programs like Social Security. Senate Finance Committee Chairman Orrin Hatch, R-Utah, declared that CBO’s estimates support reining in entitlement spending. However, political analyst Greg Valliere of Potomac Research argued that while many Republicans want to curb entitlement growth—at least Social Security COLA growth—in private, they acknowledge this could be radioactive in the 2016 campaign. Citing Social Security Administration data, Sanders said that Social Security has a $2.8 trillion surplus in its trust fund and can pay out all benefits to all beneficiaries for the next 18 years. President Barack Obama suggested in his FY 2016 budget, released in January, to do “exactly what has been done 11 times in the past and that is to rebalance funds between the two programs,” Sanders said. However, Sanders stated that House Republicans turned such rebalancing into a “partisan issue” by introducing on “the very first day” of the new Congress a rule to prevent rebalancing funds. The rule, which was adopted by the full House, lays the “groundwork for a 19% cut in disability benefits,” Sanders said. The response by the House to “block” Obama’s rebalancing plan “is merely an attempt to manufacture a crisis where none exists,” Sanders said. In mid-February, Hatch, along with House Ways and Means Social Security Subcommittee Chairman Sam Johnson, R-Texas, introduced The Social Security Disability Insurance and Unemployment Benefits Double Dip Elimination Act of 2015 in both the Senate and House. 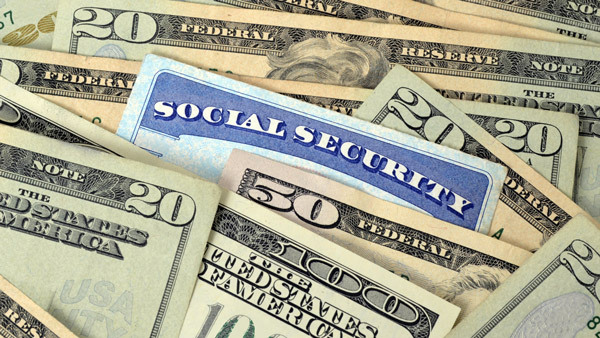 The legislation would prevent people from receiving both Social Security disability benefits and unemployment benefits at the same time. The senators said that Obama included the same plan in his FY 2016 budget, and projected an estimated savings of $2 billion over 10 years. House Ways and Means Committee Chairman Paul Ryan, R-Wis., was a primary co-sponsor of the bill. “By closing this loophole that allows for individuals to qualify for both disability and unemployment, we can reduce duplicative spending, as the president’s budget recognizes, and preserve benefits for those that need them most,” Hatch said. — Read “Unclaimed: Why Advisors Can’t Ignore Social Security Planning” on ThinkAdvisor.